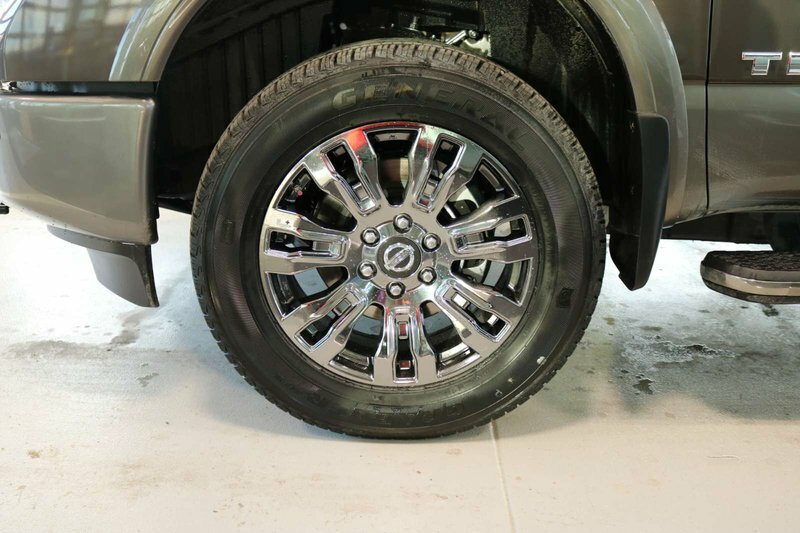 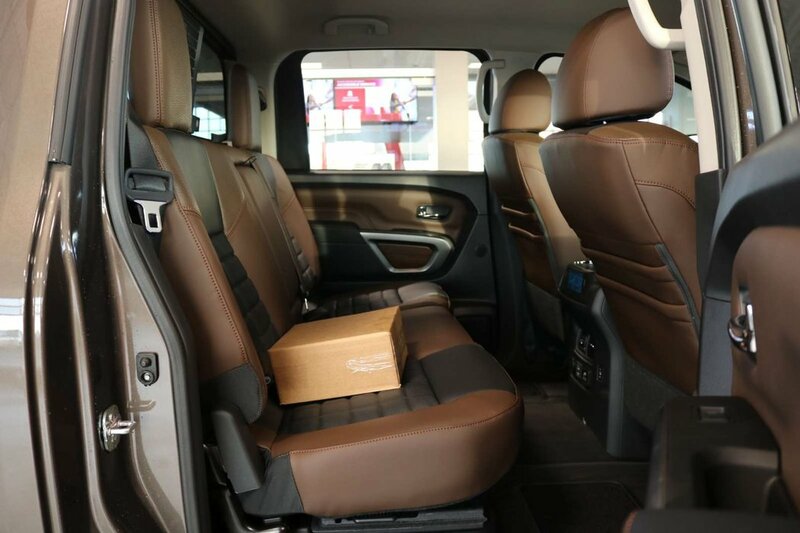 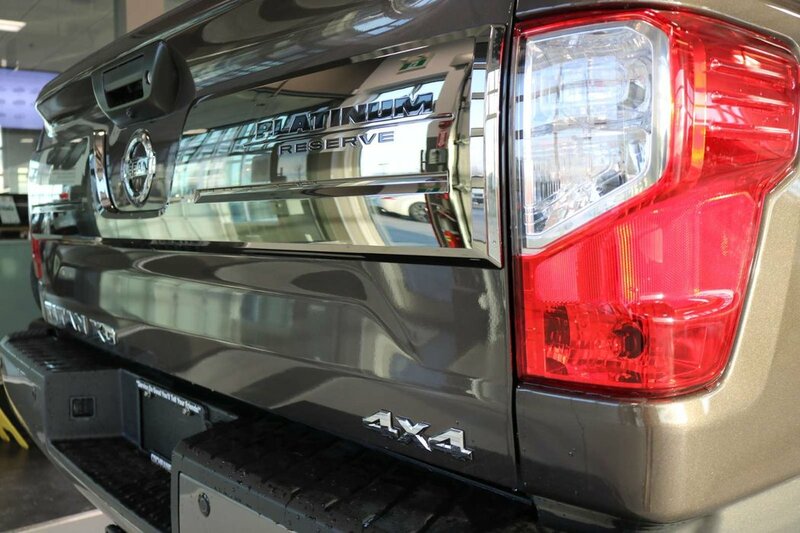 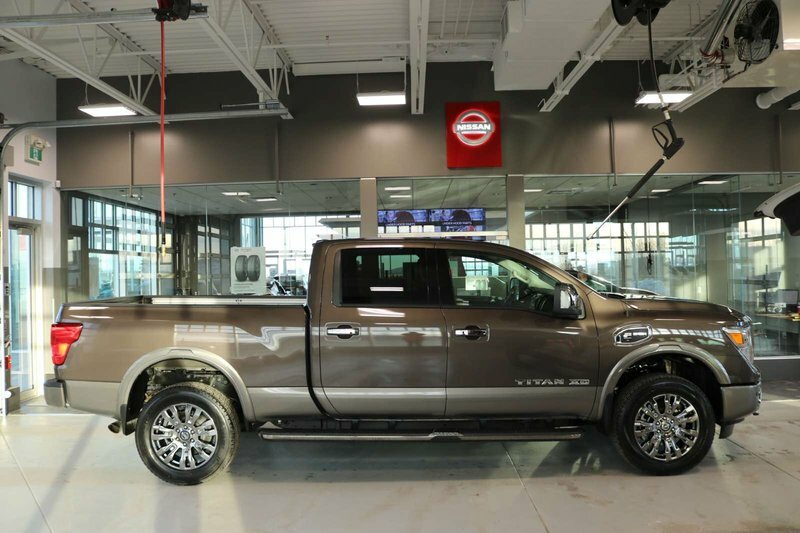 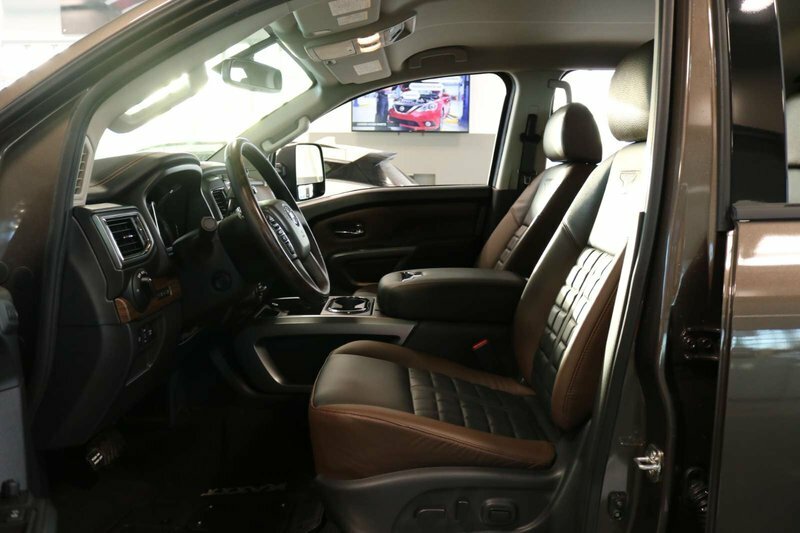 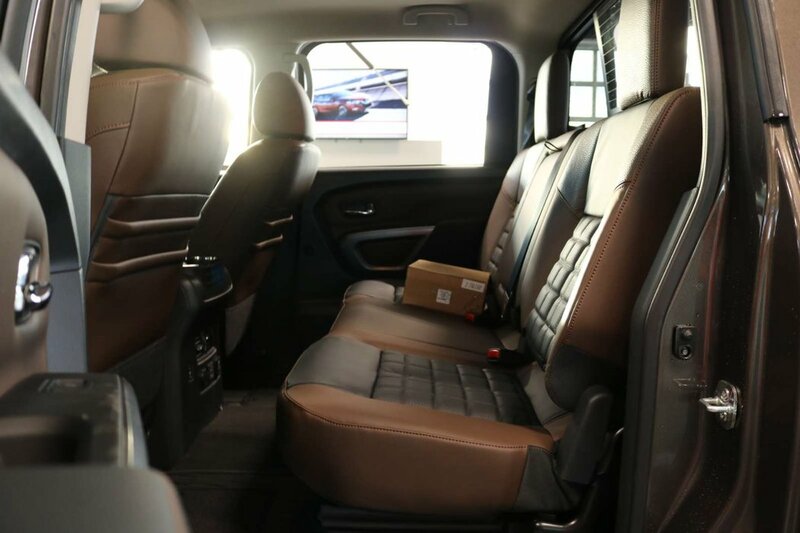 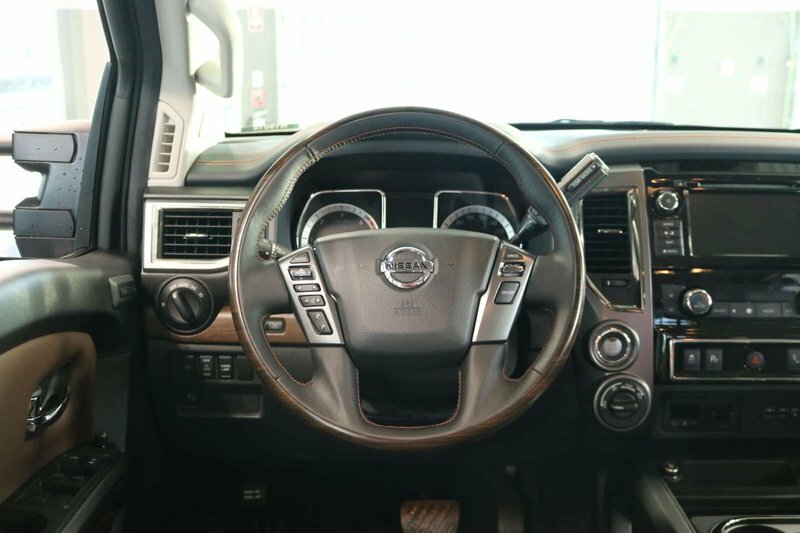 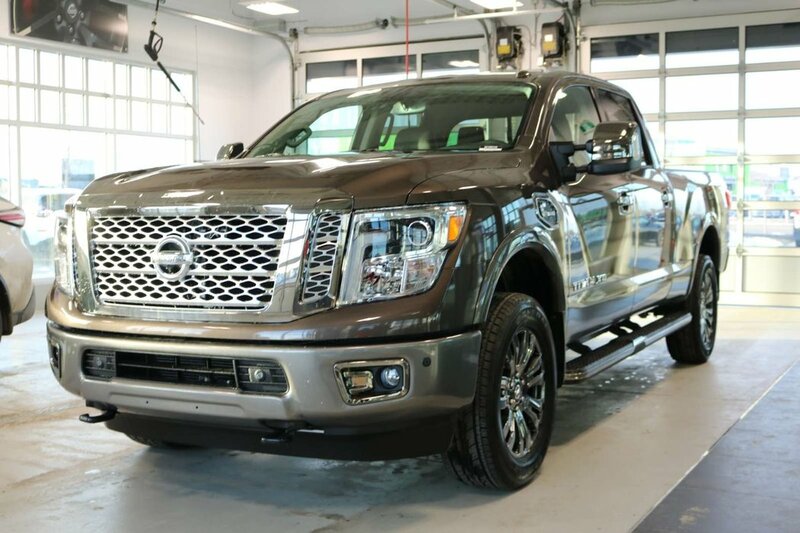 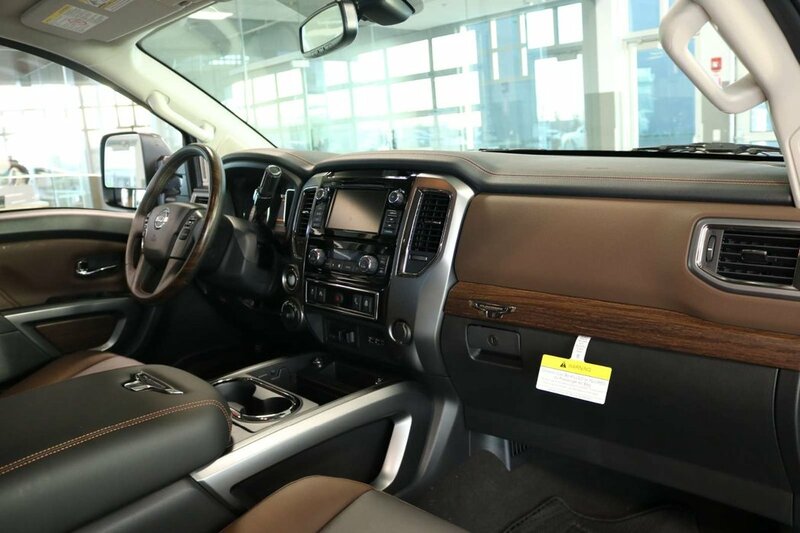 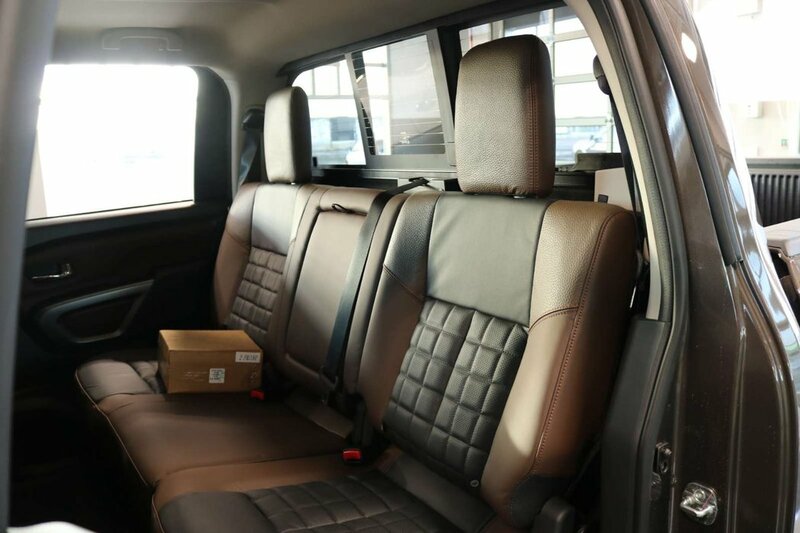 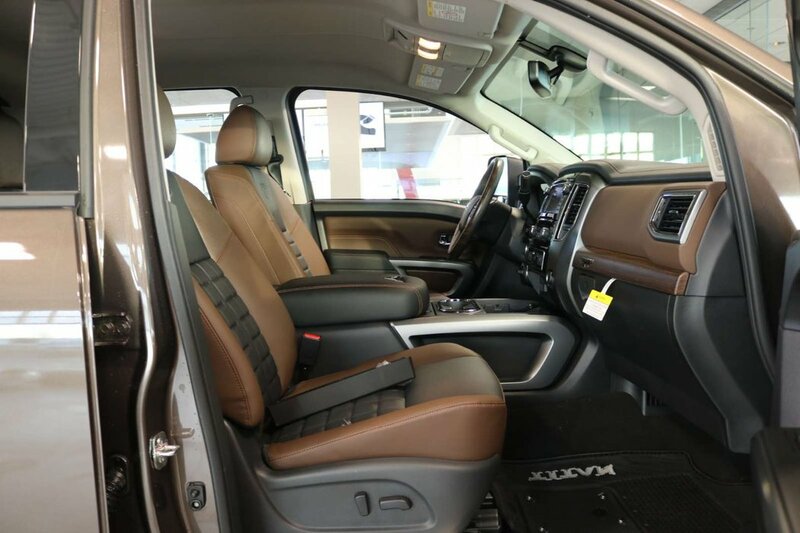 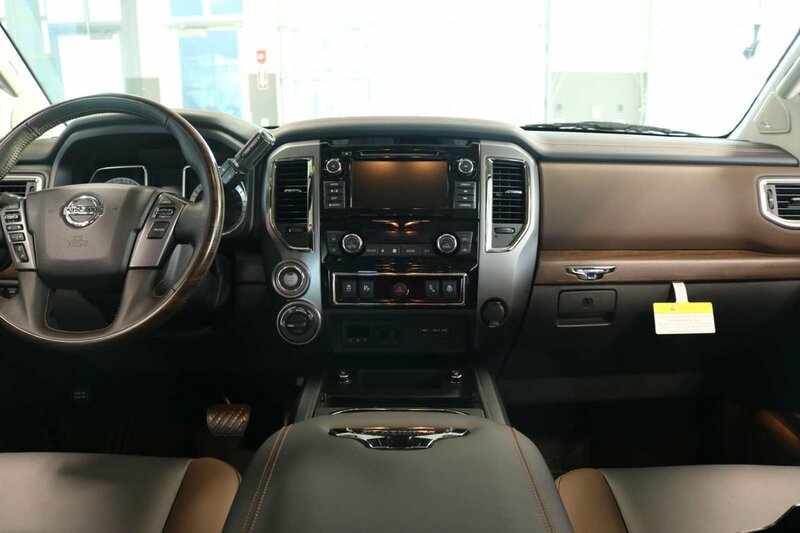 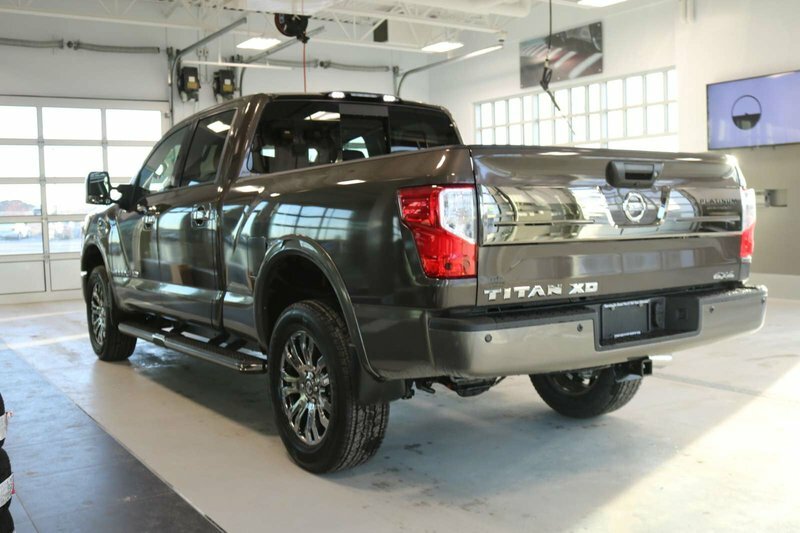 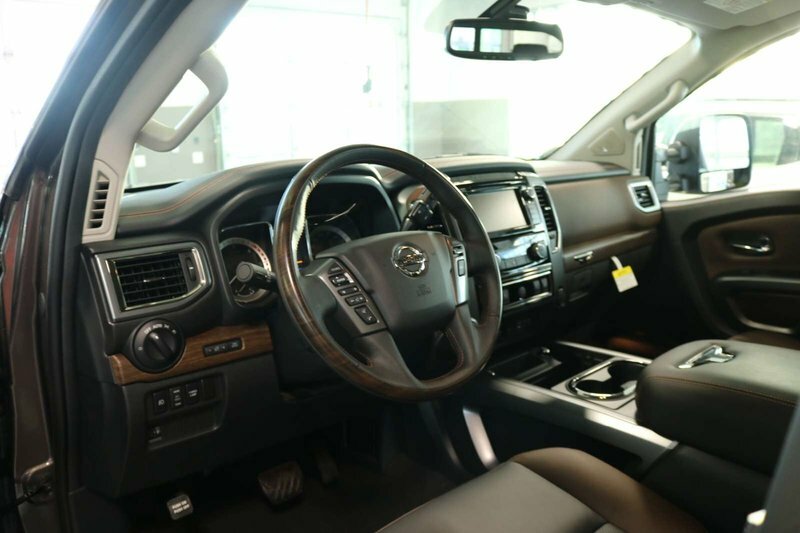 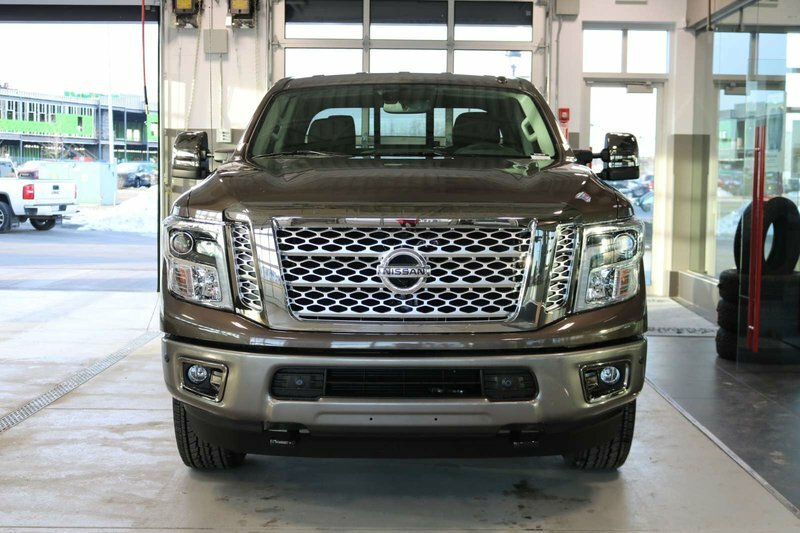 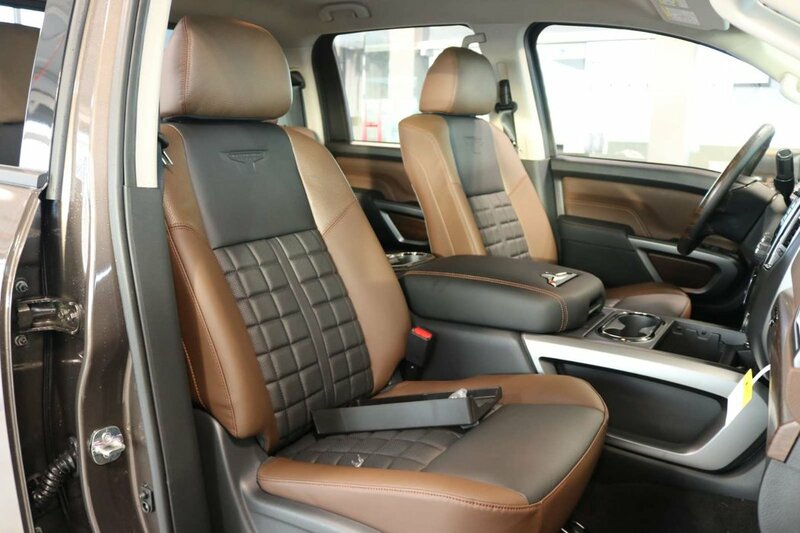 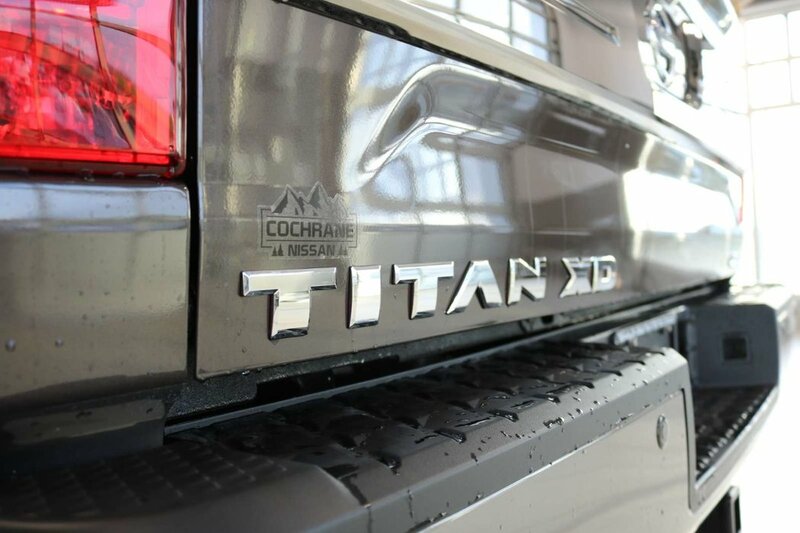 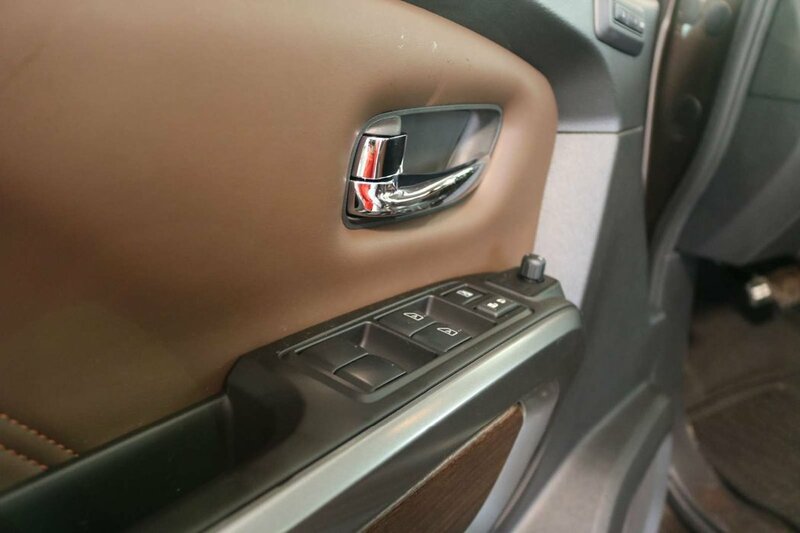 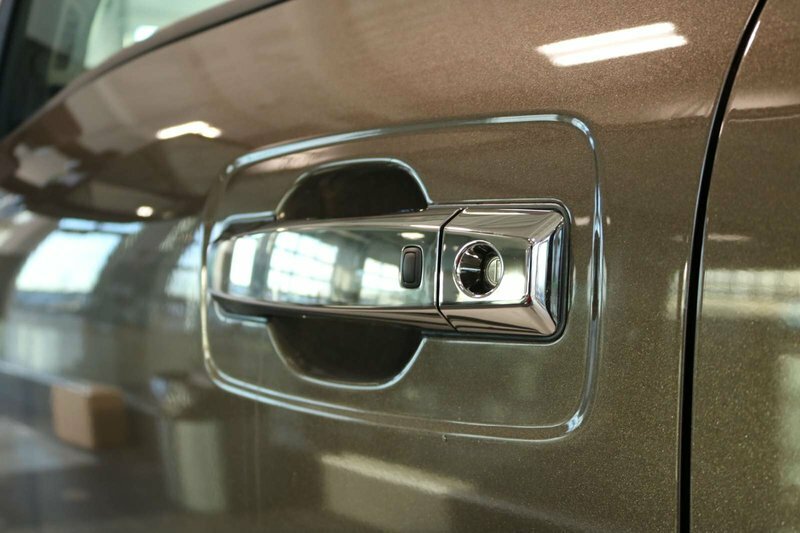 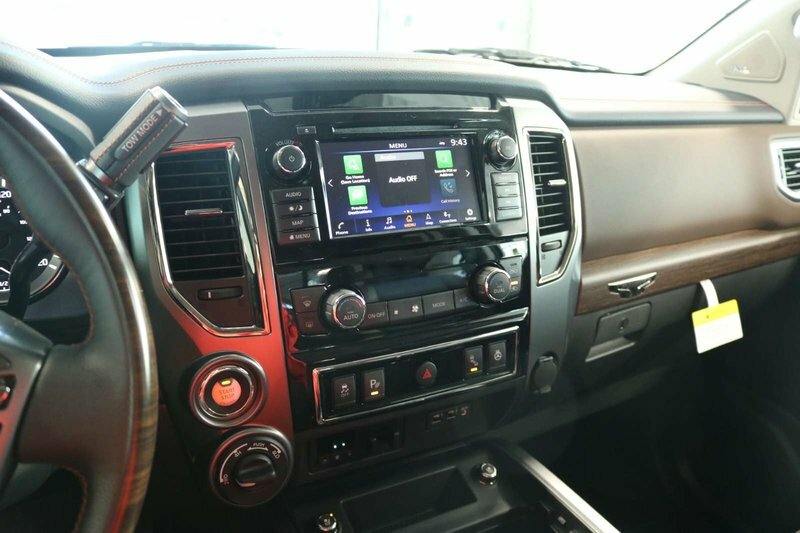 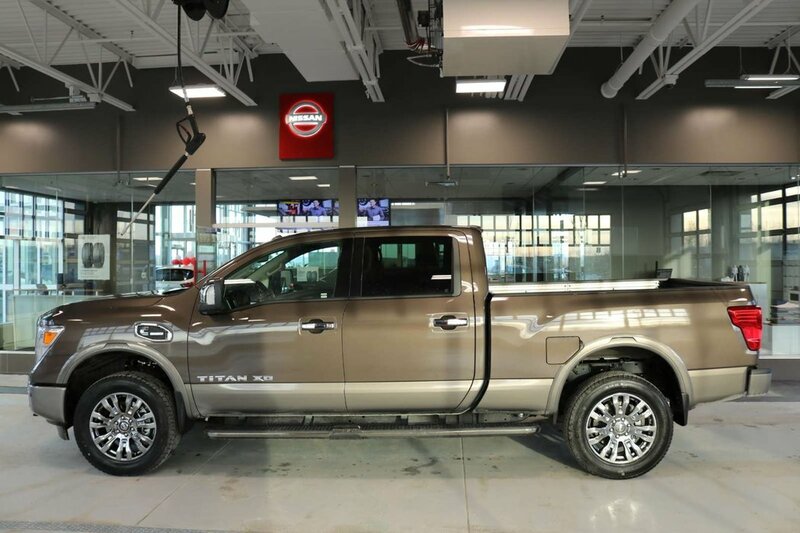 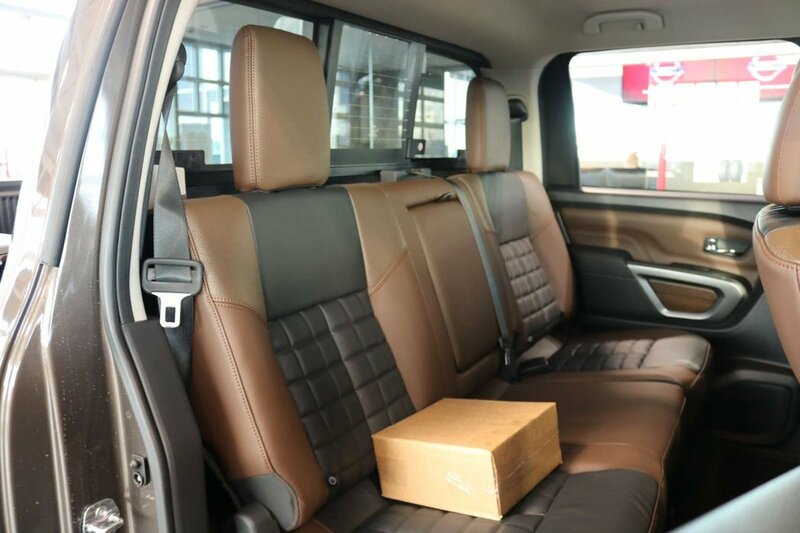 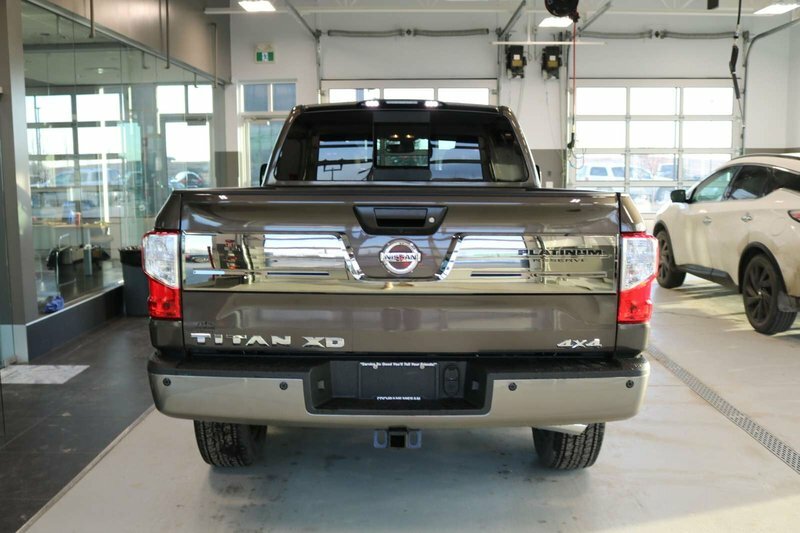 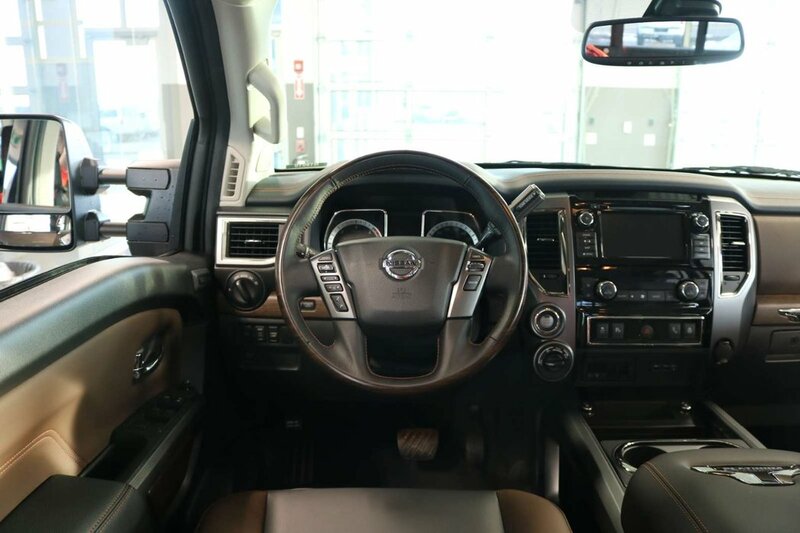 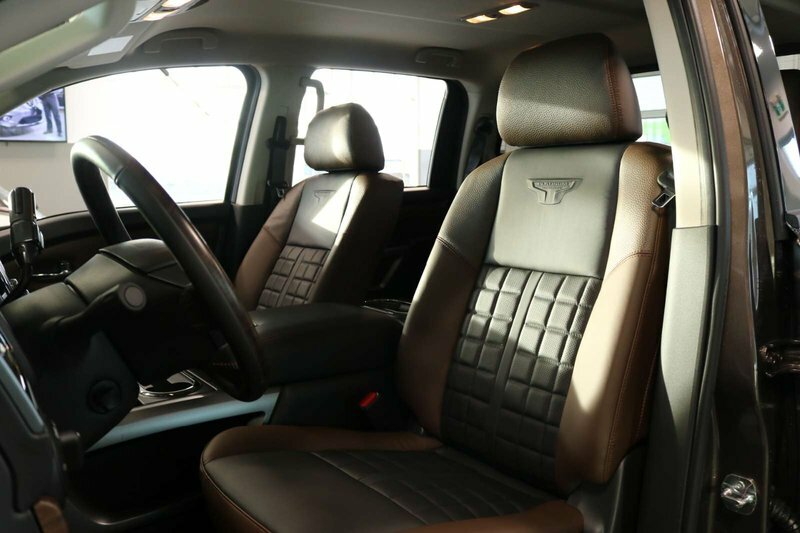 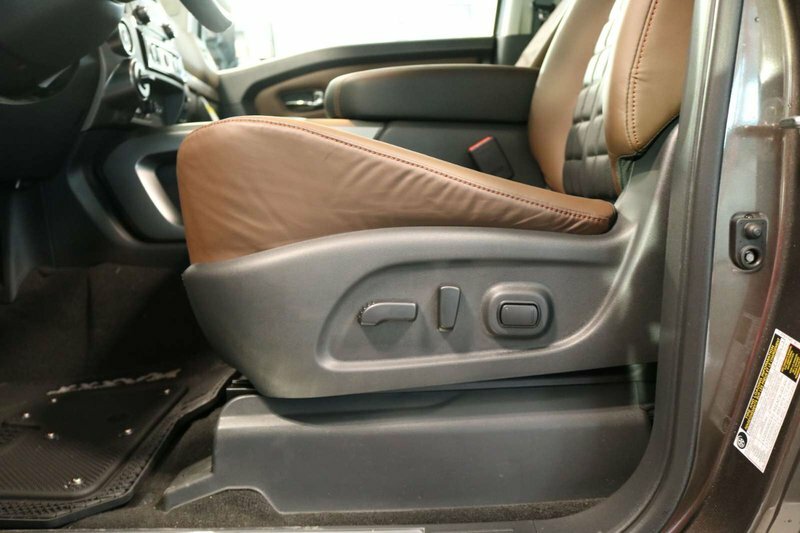 Up your game with our 2019 Nissan Titan XD Platinum Reserve Crew Cab 4x4 that flexes some serious muscle in Java Metallic! 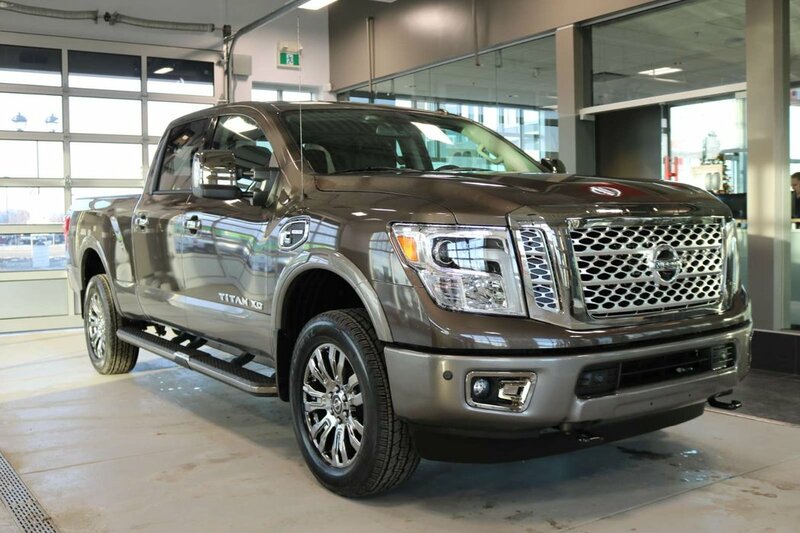 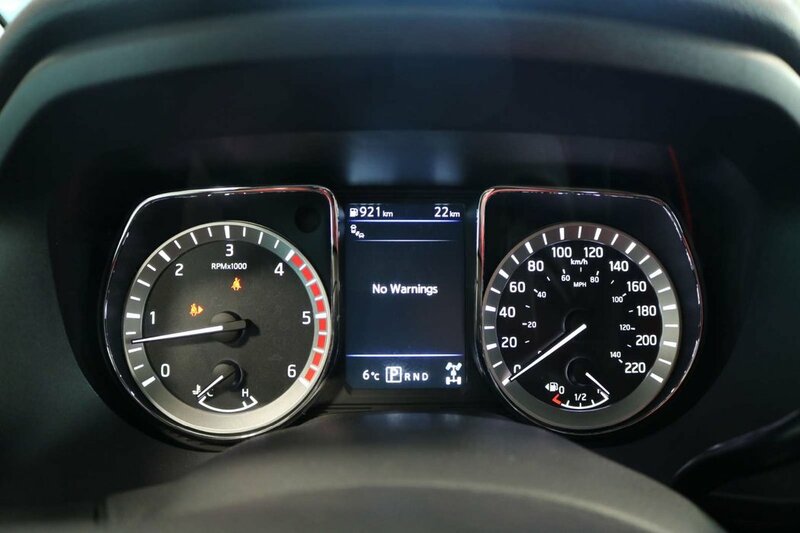 Behold the exceptional strength and potent rumble of our legendary 5.0 Litre Turbo Diesel V8 that generates 310hp and 555lb-ft of torque while paired with an innovative 6 Speed Automatic transmission. 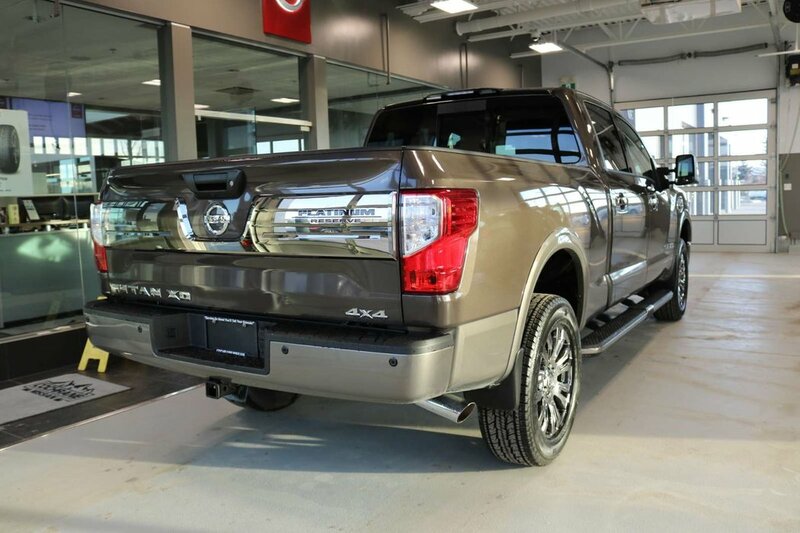 This Four Wheel Drive combination can serve up a smooth and comfortable ride while rewarding you with a jaw-dropping towing and payload capacity.